I love the Vistanasubmitted by Sheryl H. - Feb 12, 2019 |Recommended: YesIf I wanted to continue renting and not owning I would stay at the Vistana forever. I have ZERO complaints The office staff is great. The maintenance staff continues to amaze me they are so friendly, efficient and professional Our apt is beautiful. Our utilities are very reasonable. I never hear our neighbors. response from property - Oct 09, 2018 Thank you Dora! The team here at The Vistana is thrilled to hear such good feedback, and weâre proud to be one of the most beautiful places to live in San Antonio! We appreciate the recommendations! Noise- I have great quite neighborssubmitted by Elsa C. - Sep 30, 2018 |Recommended: YesNoise- I have great quite neighbors I have referred a couple of people and they have moved in. response from property - Oct 09, 2018 Elsa, that is so wonderful to hear! Thank you for letting us know that your experience at The Vistana has been a positive one. Please let us know if there is anything we can do for you ma'am! response from property - Oct 09, 2018 Thank you for such a wonderful review & very glad your move in went smoothly! We are proud of our maintenance team - WE AGREE! - They are awesome! Let us know if there is anything that you may need. We are thankful for residents like you! Friendly placesubmitted by Stephen A. - Jul 31, 2018 |Recommended: YesA great community, friendly neighbors, lots of tenant activities. Location is great for downtown. response from property - Oct 09, 2018 Thank you for the review, Stephen. We work hard to provide a top notch living experience for our residents. I think we have figured out what makes our residents happy - a coffee in the morning, a cocktail in the evening, and friendly faces to come home to - and we are here to help with anything we can in between! The residents are great, family away from home.submitted by Rolando C. - Jul 26, 2018 |Recommended: YesThe residents are great, family away from home. 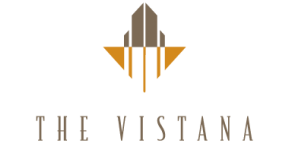 I love the Vistana, great place to live.submitted by Nicholas R. - Jul 20, 2018 |Recommended: YesI love everything about the Vistana, it is an amazing place to live. The only tip I have is that I would change the leasing sign in order to attract potential residents. The blue and green sign looks like you are inviting people to a 6 year old boy's birthday party. For a place this nice, you would want to have a sign that reflects the elegance of the building. Having majored in marketing, little things like this can sway the consumer and can leave a lasting impression on them. response from property - Oct 09, 2018 We so appreciate your feedback. Resident opinions are very valuable to us - we will take this into consideration. Keep the ideas coming! Let us know if you need anything in the meantime, Nicholas! You can't beat the locationsubmitted by Henry L. - Jul 03, 2018 |Recommended: YesI really enjoy my downtown view and the amenity deck. response from property - Oct 09, 2018 We are happy that you are happy! Please be in touch if there is anything we assist you with in the future, Mr. Lewis! I love living heresubmitted by Joshua B. - May 31, 2018 |Recommended: YesI've told friends who visit that this is a great place to live. The staff are very nice and responsive, and maintenance requests are handled very promptly. I don't think there's an apartment in the building that has a bad view. response from property - Oct 09, 2018 Thank you so much for your kind words, Josh. We really appreciate you taking the time out to share your experience with usâand we agree, we don't have a bad view from anywhere. We count ourselves lucky to have residents like you. We look forward to your ongoing residency here at The Vistana! Over all Great place to live and don't plan on moving. submitted by Jorje O. - Nov 16, 2017 |Recommended: YesGreat property Parking On property the parking garage is spacious and has plenty of available parking spaces. Only issue which is more to do with resident resident guest is periodically someone will run into the parking garage gate. This by no fault of the property or management takes a bit to fix due to parts availability. Noise The floors and ceilings are solid and thick. The walls must be sound proofed because I have never heard my neighbors. They only weakness in noise from a neighbor is if you are walking through the hallway. This is because the front door of each apartment is the cheapest you can find at Home Depot. As for as outside noise this is downtown. If there is an event for example a parade going on of course it can be heard. If this is troublesome I wouldn't move downtown. Grounds This is the main reason I initially contacted this property to move in. The construction of the building and the view from any apartment is AMAZING I have walked through every Apartment complex downtown when considering where I was going to live. None can compare. Construction The only reason this has a 1 star is because the interior of the apartments are cheap and this is advertised as a luxury apartment and charges as a luxury apartment. As I did a walk through through the other downtown apartments The Vistana was found wanting in this area. example, doors, toilet, tub, refrigerator, dish washer, and ceiling fans are of lesser quality than other luxury apartments downtown. Pros on construction is the exterior construction. There is a great wifi area built with a Starbucks machine that is accessible 24 hours, The hot tub, pool, 3 grills, gym, outside bar w big screen TV, lounging are on 6th floor, and party room is tremendous and none of the other properties downtown can compete Maintenance tremendous when ever there is an issue they fix it fast. If for any reason they are not able to. Maintenance property managers have always communicated well and given a ligament reason for the delay. Staff - BEST staff I have ever had at any property. They communicate often and are always helpful. Overall - Like the Title says Over all Great place to live and don't plan on moving anytime soon. response from property - Sep 18, 2017 Thank you Huyen, we appreciate the kind words. We are so happy you love your home just as much as we do!! Greatsubmitted by Mark W. - Aug 31, 2017 |Recommended: YesVery satisfied, office and maintenance staff are outstanding. response from property - Sep 18, 2017 Thank you Mark, we take great pride in the level of service we are able to provide our resident community. We hope to continue to make your living experience the BEST ever!! response from property - Jun 16, 2017 Thank you so much Angela, we love having you here too! On my depature from Texassubmitted by Bill B. - May 11, 2017 |Recommended: YesAfter just over a year in San Antonio at The Vistana, I am being relocated to another state by my employer. I have very much enjoyed my time here. Knowing very few people in the city when I came, I found many friendships developed here. The wide range of activities facilitated by the staff were great fun. It seemed there was always something to take part in. Lots of opportunity for engagement As with any apartment dwelling, various minor maintenance matters arose. The system of request for repair was easy and the maintenance staff was quick and efficient to resolve the issue. I was impressed. I would easily recommend The Vistana to anyone wanting to live near downtown. Overall, a great experience. response from property - May 12, 2017 Thank you Bill! We loved having you as a part of our resident community. Please don't be a stranger the next time you are in town....we would love to see you again!! Best wishes to you and the best of luck on your new endeavor! !